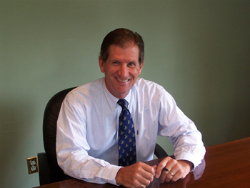 When you are looking for legal representation in the Buffalo, NY area, rely on Justin White. Having over 30 years of legal experience, Justin White is willing and able to help you with all of your legal questions and concerns. He can help give you the peace of mind you are looking for when it comes to yourself, a loved one, or your family as a whole. Stop living in the past and focus more on the future with help from Buffalo, NY’s family law attorney and criminal lawyer. There are a lot of things in life that can cause one to become upset, but it seems as though nothing else is more upsetting that someone you love getting sick or hurt, especially when it is caused from someone else’s negligence. This can cause a variety of emotions to stream through your mind – from anger and fear to wanting questions and answers. This is where Justin White comes into play. Residents of Buffalo, NY come to Justin White because they know they will get the representation that they want and deserve. 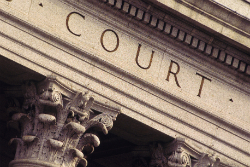 It is important to get the right type of attorney to handle your case, especially one that has handled similar cases. Let the law office of Justin White take care of the legal aspects while you focus on your emotional and physical well being. We are a multifaceted legal service that serves clients with matters pertaining to criminal law, family law, vehicle and traffic law, wills and estates, small business formation and corporate and general practices. Our family law branch deals with divorce, domestic relations, dissolution of marriage and legal separation, child support, marital settlement agreements and premarital and postnuptial agreements. Our criminal lawyers are highly skilled with DWI and DUI cases, shoplifting, assault, drug charges and more. From misdemeanors to felonies, come to the law offices of Justin White Jr for all litigation, appeal and legal needs or issues. Business law is complex and involves a lot of intricacies that need to be followed to protect your business or corporation. Whether you are seeking to open your own small business or a large corporation, Justin White, an experienced business law attorney can help. As a business law attorney and corporate business attorney, he has years of experience advising Buffalo NY’s entrepreneurs and professionals through business ventures by assisting with documents, disputes, legal obligations and more. Justin White can help negotiate to help grow your business. For more information or for legal help from an experience business law attorney or corporate business attorney, call today! Fight for your rights with a criminal attorney. Getting arrested can often lead to embarrassment, not only to the victim, but to their family, friends and employer as well. As an experienced criminal lawyer, Justin White is committed to getting you the freedom that you deserve and helping to reduce or eliminate any potential sentencing. Aiding to your defense, Justin White will meet with witnesses to make sure that he has all the evidence he needs to help you with your case. He understands that bad things happen to good people and helps work with residents in the Buffalo, NY in DWI cases, drug possession, theft, fraud, assault, and many others. DWI's are not taken lightly by the law any more. As an experienced DWI attorney, Justin White is well aware of the hefty, life changing penalties that consequently come from a DWI conviction. The loss of your driver’s license, higher insurance costs, fines and court costs, probations, and jail time are just some of the consequences associated with driving drunk. At Justin White, he understands that good people sometimes make poor decisions. That is why, as a DWI attorney, he does all that he can to help you overcome the case and get you the best possible outcome. If you're facing a DWI charge, you need to act quickly. Criminal cases, especially DWI cases, can come with a lot of costs. It is important to seek the assistance of a DWI attorney who has knowledge in that area of criminal law. Justin White Jr. has represented many individuals who have faced criminal charges including DWI. Let him evaluate your case today. When you need a criminal lawyer, who has the knowledge and experience to help you, call Justin White. No one plans on divorce or any family related legal issues. When looking for a family law attorney or divorce lawyer in the Buffalo, NY area, there's only one person to call. Choose Justin White Jr for all your family law attorney and divorce lawyer needs. As a divorce lawyer and family law attorney in Buffalo, NY, Justin S. White provides that aggressive representation to those who have legal matters concerning divorce, family law and other general practice issues. 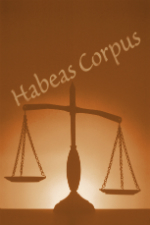 His firm provides the personal care and attention to all your legal affairs. Justin White is highly regarded in the profession for his excellence in the courtroom and at the negotiating table. He strives to provide clients of Buffalo, NY with the best legal representation and is committed to defending your rights. Call today for an experience divorce lawyer. Getting in to a traffic accident can turn someone's life upside down. Whether you are out of work or have a serious injury, it is important to find a traffic accident attorney you can trust. As a traffic accident attorney in Buffalo, NY, Justin White is the right lawyer for you, whether you get yourself in a minor car accident or something more severe, like a major trucking crash. It is important to get the right attorney to help with your investigation. Residents of Buffalo, NY can rest easy with Justin White in their corner. Give us a call today to speak with a traffic accident attorney! Believe it or not, everyone owns an estate. Your estate amounts for your personal possession, including your car, real estate, bank accounts, furniture, etc. As an estate planner, Justin White will help assist you in making a plan and naming whom you want to receive the things you own after you die. This service does not have to be done when you are elderly. You never know what is going to happen in life and you can’t take anything with you. Therefore, having a plan of where you would like your belongings to go once you pass, can help alleviate stress for your family member left behind. Estate planning begins with a will. A will provides you family with your instructions of how your property, including your car, money, etc, will be divided up and distributed. This process is handled by the courts and what better representation, than Justin White, an experienced Wills attorney. For more information on estate planning or wills, please call the legal office today. Justin White will strive to make legal services accessible. Our regular office hours are 8:30 a.m. to 5:00 p.m., Monday through Friday, but we can also schedule evening and weekend appointments as needed. We are located conveniently in Williamsville to meet with clients and their families. If you call us outside of regular business hours, you will be directed to either our voice messaging service or directly to an on-call attorney. We send out detailed monthly billing statements and offer several payment options, including major credit cards. Call us today! We are waiting to be your choice for a business law attorney, corporate business attorney and will attorney!